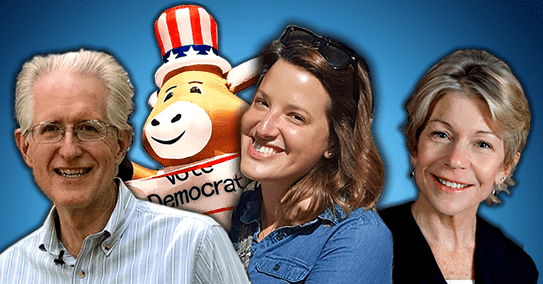 Barron County Democrats: March with us at Aquafest! March with us at Aquafest! Join us this Sunday, June 10th for the Aquafest Parade in Rice Lake! Meet and march with State Senator Janet Bewley, Assembly Candidate Ali Holzman, and Congressional Candidate Brian Ewert. Everybody's favorite Giant Inflatable Donkey will be there too! All the candidates and the Barron County Dems will be giving out T-shirts to marchers and volunteers. Supplies are limited, so drop us a line here if you want to reserve one in your size. Meet up with us just before noon at the Barron County Fairgrounds (map). We'll be at Station #33. Let's have a big turnout to support these great candidates!